Taking a tree down is best done by a professional company that has the proper equipment. Otherwise, you could end up damaging your property or someone. That is why Sebring Tree Service is proud to serve Highlands and Polk County here in Florida. We have the experience and equipment needed to fell a tree without causing damage. What is Involved in Cutting Down a Tree? 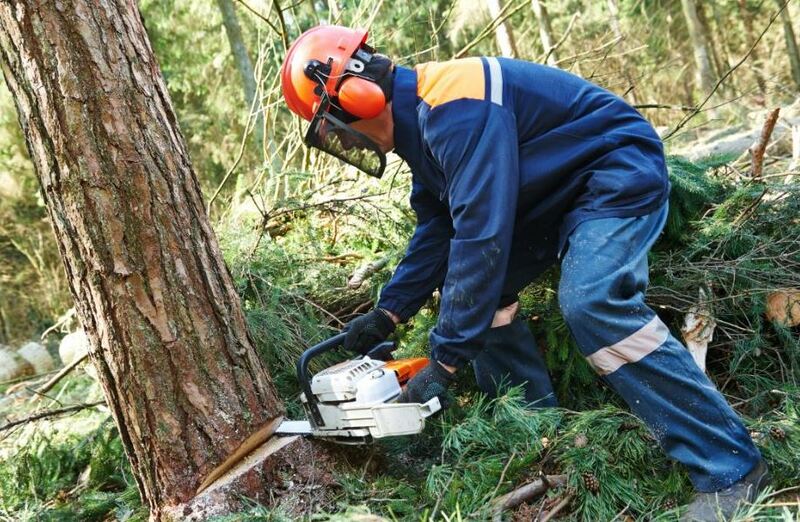 With the use of our equipment, we have the ability to cut down any sized tree in your yard. This process will vary depending on the size and type of tree we are cutting down. Not all varieties can be handled the same. That is why our tree specialists formulate a plan before starting the work. We make the proper calculations based off the variety to ensure everyone’s safety. For extremely large trees, we will start at the top of the tree and cut off a portion. We might need to do that several times to keep from damaging your home or yard. When it is small enough to drop, we will make sure it falls away from your home or other buildings. Will You Remove The Tree From My Property? We have the equipment necessary to remove any and all trees from your yard, even trees that we did not cut down. When storms hit, a tree may fall somewhere in your yard. If that is the case, we are able to remove it for you. Large trunks and limbs are cut into smaller pieces to be hauled away. We load them carefully into our equipment to keep from damaging your property. Also, all limbs and branches will be cleaned up by our crew. You won’t be left with disposing of the smaller pieces on your own. When you call us out to take a look at the tree you want cut and removed, we will take the time to answer all of your questions. Maybe you are not sure if the tree really needs to be cut or if there is another option. We are arborists that make it our business to know trees. We can give you the guidance you need to make the right decision. It is our commitment to the people of Highlands and Polk County to provide excellent service in a timely manner. You can feel at ease when you contract us to cut down and remove trees in your yard. We make sure that you and your property stay safe during the process. With the accuracy of our team, you won’t even know that we’ve been there once the job is done. We are professionals that work hard for you so that you don’t have to.